Most of today’s manufacturers of hydro seeding equipment have been in business a long time and most everyone’s machines work well. Deciding what hydro seeder to buy today is less about deciding what brand to buy and more about what machine is right for your business. We started this site as a help site not one to sell our products, so what we hope to do here is to provide and honest and complete guide to picking hydro seeding equipment that is right for you. STEP ONE IN DECIDING WHAT HYDRO SEEDING EQUIPMENT IS RIGHT FOR YOU. One of the most important things to look at is they application you have and the type of work you want to do with the unit. This will reflect more on the size of the machine that would be right for you. Typically I usually recommend something in the 300 gallon size to the 1000 gallon size. In most areas a 300 to 500 gallon unit will work fine. If the typical lawns in your area are larger than average then something in the 750 to 1000 gallon size might be a better choice. Generally the larger your unit the faster you will get the jobs done. However doing a large lawn with a small unit can still be done very cost effectively. I do a lot of hydro seeding myself using a 300 gallon unit and have done many jobs that were as large as 3 acres and one 17 acre job. Here is a little tip. Having a nurse tank and small pump with you will allow you to seed many jobs with a small machine faster than someone with a larger machine. That is if you are filling with the customer’s water hose. You can fill the nurse tank while you are spraying, and then just pump it over into your unit. If you had a larger unit and no nurse tank then you would have to shut off the water while you sprayed where with a nurse tank you never need to shut off the water. One of the advantages of a smaller machine is that you can take small high profit jobs that you might not want to do with a larger machine. Erosion control work comes in many varieties. Smaller Erosion control jobs such as retention ponds and hillside stabilization can be done with a small or large unit and with either jet or mechanical agitation. If you want to use some of the high performance erosion control materials such as BFM’s or FGM’s you will need a mechanically agitated unit but many smaller jobs can be done without using the high performance materials. Many of these jobs are quite large and the prices they are awarded at are very low on a per square foot basis. To be truly competitive you really need a very large machine that can seed large areas quickly. The best size machine for these jobs is usually around a 3000 gallon. It is possible to win some jobs with a smaller unit but a really small unit is not right for this kind of work. Many golf courses, cemeteries, schools and municipalities have found having their own hydro seeding unit to be a great investment that allows them to do their own work whenever they want. Turbo Tur’s 50 gallon, 100 gallon and 150 gallon unit in either skid type or off road pull type have been very popular in these applications. These units are very inexpensive and work great. You may see some sites for manufacturers who only make mechanically (paddle) agitated units who try to say that jet machines aren’t good or only spray thin mixes. That isn’t the least bit true. Jet machines spray a very nice slurry that will grow a great lawn. The best jet machines spray a very comparable mix to many paddle machines. The larger the engine and pump on a jet unit the closer it will get to the same slurry as a paddle machine. Turbo Turf makes both jet and mechanically agitated systems. For us, it doesn’t matter which type someone wants so we will do our best to give a fair comparison. Jet agitated units have a number of advantages and some disadvantages compared to paddle machines. Most can handle 100% wood mulch, BFM’s, FGM’s etc. Jet units all use centrifugal pumps. Most pumps on jet agitated units work well. Some inexpensive jet machines use a pump designed for clear water. Some plugging issues may occur with those units. 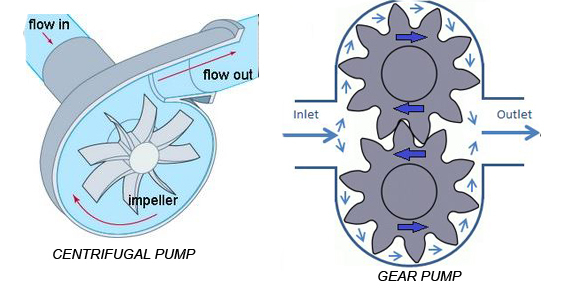 Mechanical Hydro seeders usually use a centrifugal pump or a gear pump. There are advantages and disadvantages to both. Gear pumps have a stack of gaskets in the outside cover. Over time pressure will drop and it is necessary to remove one or two gaskets. When there are no more gaskets to remove the pump must be rebuilt. Hose comes in two main types. Collapsible hose and semi-rigid hose. Collapsible hose is inexpensive and stores compactly. However it does kink easily and to spray it is necessary to lay out all the hose. With a semi rigid hose when working close to the machine you only need to unwrap as much hose as you need. The other negative is that collapsible hose must be flushed completely with clear water to roll it back up. Semi-Rigid Hose comes in several materials. Rubber is one which is an excellent hose but heavy and expensive. PVC braided hose is another. It is also a good hose. It can have minor issues with kinking. Spirally reinforced hose is light, inexpensive and kink resistant. Hydro seeders use one of three types of tanks: Polyethylene, steel, or stainless steel. 1. Polyethylene tanks are made of a long life plastic material. They are very durable and will last for decades. One other bonus is that they are transparent enough that, when hydroseeding, you can see how much material is left in the tank without needing to look into the tank. This can be handy. Sometimes when you are towards the end of a job knowing you are running low on material can allow you to stretch things out a bit so you don’t run out of material with a very small area left to seed. Most all jet agitated hydroseeding units use a poly tank. Turbo Turf is the only manufacturer at this time using poly tanks for their mechanical (paddle) agitated units. Since mounting the paddle assembly directly to the tank is not a good option Turbo Turf has a heavy metal framework to support the paddles and the tank is simply a container for the material. 2. Steel tanks are used in most mechanical (paddle) agitated hydroseeding units. Steel tanks have both advantages and disadvantages. One advantage is that steel tanks are strong enough to mount the agitator shafts directly on the tank. Another advantage is that steel tanks can be painted so should your units start to look shabby after a number of years you can put a new coat of paint on it. There are a few disadvantages as well. The biggest disadvantage is that metal can rust. For that reason it is important to clean a unit out well at the end of each day and it is also good to high pressure wash the inside of the tank occasionally. Some owners chose not to add fertilizer to the hydroseeding mix but to apply it separately with a spin spreader since the nitrogen in fertilizer is very corrosive. Some of the more economically prices hydroseeding units tend to use thinner gauge metal and to just paint the inside of the tank using an epoxy paint which is just paint. Some of the higher priced units use both a heavier gauge metal and coat the inside of the tank with coal tar epoxy which is much better protection. Should you buy one of the lower priced units available we recommend taking the extra time to clean out the tank thoroughly. 3. The third material which is optional with a few brands is to build the tank from stainless steel. This is an excellent choice since stainless steel is very rust resistant. However stainless steel can still rust where it is welded or bent. The chief disadvantage to stainless steel is that it is very expensive.